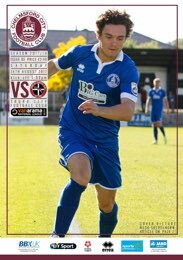 Digital copies of all home matchday programmes including League games, friendlies and potential cup and playoff games. A link to the programme will be sent out 5 minutes before kick off for each game. Digital matchday programmes will not be available to purchase individually.